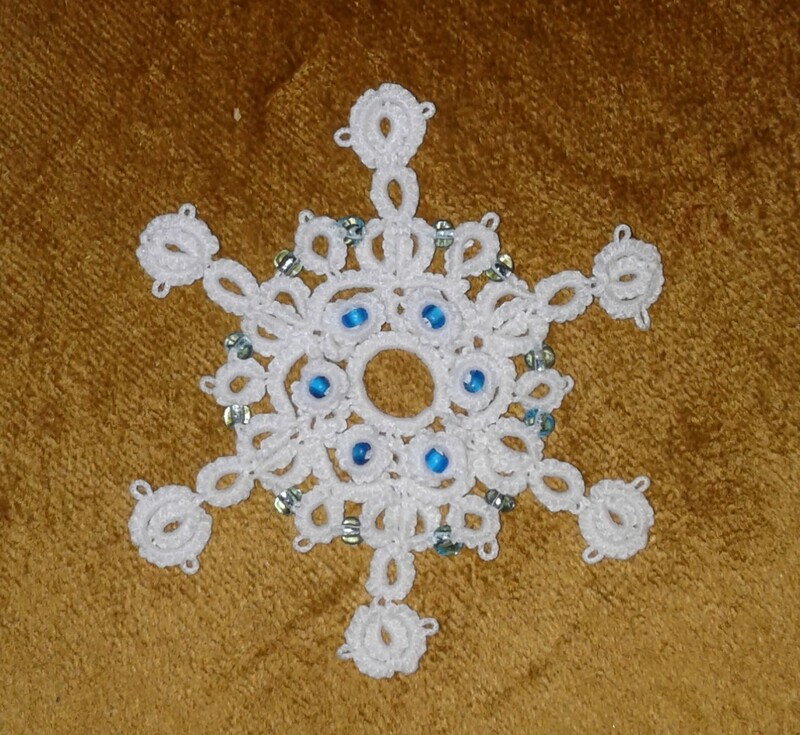 As I sit here with melting snow and slushy roads, I dream of being at the 21st Annual Shuttlebirds “A Flurry of Flakes” tatting workshop on May 4-7, 2017. Just look at those pictures — gorgeous! This year we will be at the Ross Point Camp in Post Falls, Idaho. There is lodging available with motel-style rooms and RV sites. There are large gathering rooms for vendors and nonclass time along with plenty of recreational activities for our nontatting guests. Hurray as classes are filling up fast! 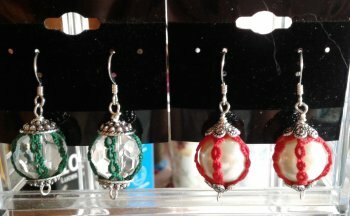 Mini – up to 1″ in diameter. Medium – 1-3″ in diameter. Large – over 3″ in diameter. Let your creativity flow…….like snowflakes falling to the ground. (Photograph compliments of STG member Laura Ast). Last but not least, “A Flurry of Flakes” welcomes Natalie Rogers. 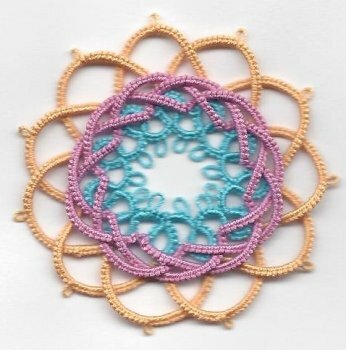 Natalie is Shuttlebirds Tatting Guild past president and will be teaching Turkish Tatting at our workshop May 4-7, 2017. Hurry and sign up for classes as they are filling up fast. 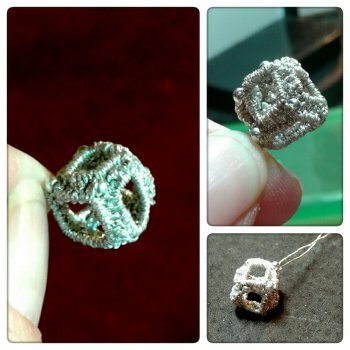 Natalie descries herself as “I was introduced to tatting in August 2012 by Donna Barnes. 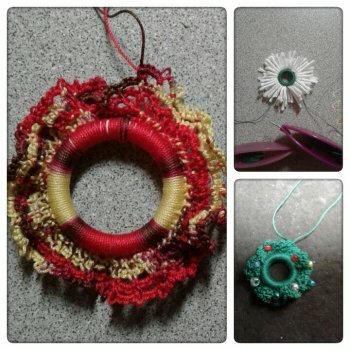 I have enjoyed crafts my whole life and was quick to pick up on the basics of tatting. I started teaching friends and family how to tat within a few months of picking up my first shuttle, because the easiest way for me to know I’ve learned a new skill is to teach it. When I first started, I kept pace at around one new motif a week. My pace has slowed down, but I still love the challenge of learning a new technique. My first designs happened by accident as variations on patterns I was completing. Since those first few happy accidents, I have enjoyed purposefully designing many tatted pieces. 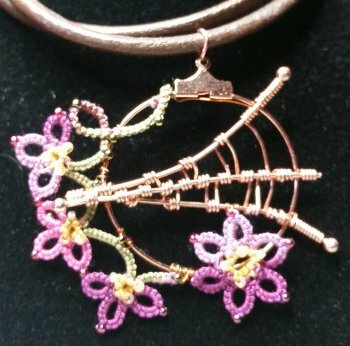 I actively participate in Shuttlebirds Tatting Guild demonstrations. 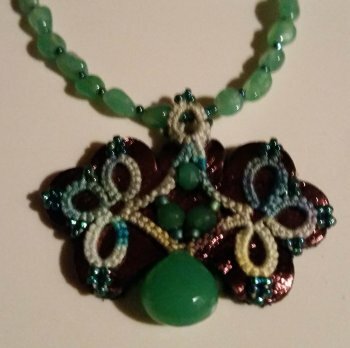 It is a delight introducing others to the art of tatting. I have had the honor of teaching at the 2014, 2015, and 2016 workshops. When I’m not tatting, I teach at Bryant (Adv. Web Design, Computer Apps and Coding, Math 8, Geometry, Math Lab, FLL STEM Robotics 101, Invent Washington, and Advisory), play my guitar and sing in a geeky band called InFILKtion, make costumes, crochet, and enjoy a weekly gaming group. I have an amazing husband, Bevan, who supports my career and hobbies, and two adorable cats, Klaus and Kunoichi. I look forward to sharing my new patterns with you and hope to see you in one of my classes! Happy tatting! Here we have the Snowflake Gardner Angel, Snow Crystal 2, and Harbinger of Snow. (The Snow Crystals seem to be the rage on Facebook these days). Karen Miner is teaching at “A Flurry of Flakes”, May 4-7, 2017.